From CIRA "Please be advised that CIRA has closed today's TBR session in advance of the scheduled closing time. We are currently investigating an issue and will provide an update before end of business today. In the interim, all successful TBR CREATES are being locked." Now offering all Top Level Domains (TLD's) through the same familiar interface. Specializing in .ca with over 10 years experience with CIRA. We offer a basic hosting package for your convenience. This simplifies much of the technical issues of going online. In addition to registering and maintaining your .ca domains we also offer a variety of added values. We have an economical hosting service or can help setup the dns for Adsense Parked Domain. Just ask and we are generally happy to help. Just use the contact us link and we will help with any problems. All queries are processed in a timely fashion. The site is all ours so we can respond to requests without delay. Burmac has been providing continuous service since 1977. We have always been involved with information systems and technology. 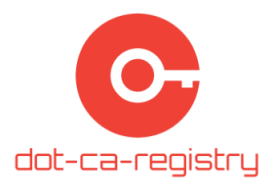 With the explosion of the Internet and the making of the .ca registry public we joined the ranks of certified registrars in 2001.